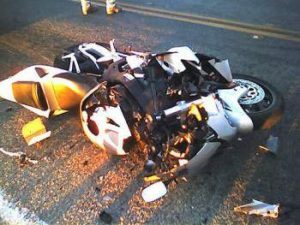 Hire an expert motorcycle accident attorney in Pomona, CA. While you are writhing in pains from the unfortunate motorcycle accident you just had, you cannot let the culprit go unscathed without compensating you for your distress. Of course, you would need to hire the services of an experienced motorcycle attorney if you are to come off successful with that. If you are in Pomona, CA and ever find the need for a motorcycle attorney, you should not hesitate to contact us at Rawa Law Group. Rawa Law Group is one of the best legal firms in California that delivers top legal services to its clients. Our aim is to provide a voice for the injured. Our services are easily accessible and we guarantee positive results when you deal with us. At Rawa Law Group, we can guarantee positive results on your case because we have some of the best motorcycle accident attorneys in the state and we have also spent more than 50 glorious years winning cases for clients and ensuring they get their full settlement after an accident. We pay attention to details and respect your rights by making you aware of our every move from the start of your case to its end. Whether you are at your place or still receiving treatment in the hospital, we can have a member of our team schedule a visit with you or you can come to our office during our flexible hours. All in all, we would need to have a sit-down and discuss your claims in order to fully exert a strong legal presence and win your claims. To secure our services, you don’t have to worry about upfront expenses – we only get paid after we win your case! To hire an expert motorcycle accident attorney Pomona, CA, why not hurry and reach us via the address below.